There’ve been an awful lot of jokes made lately about that prison work farm out in Athens. I hear they have a football program, something like out of “The Longest Yard” (the good version, not the Adam Sandler tripe). But it looks like the University of Georgia isn’t alone in its frequent brushes with the law. Though it’s unlikely any felony charges will result, Georgia Tech has had its troubles of late with the NCAA, and just this morning news broke that Kelton Hill – who likely was destined to be the starting quarterback for Georgia State – was arrested with another student for breaking into a dorm room through a window and stealing a $1,300 laptop. 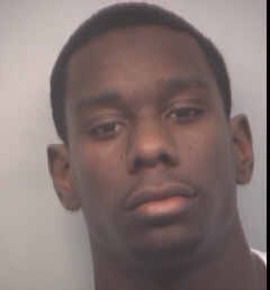 My faith in Coach Curry had evidently been misplaced, since this quarterback (and a Lithia Springs alumnus) would have thought that he could get away with a felony burglary. Granted, it’d be one thing if he largely rode the bench and participated in the football program “just because,” but with the “true” starting quarterback, Drew Little, benched for violating team rules (whatever that means), Hill had the golden ticket. I had assumed that the problems at UGA – and, to be fair, many other academic institutions with active athletic programs (thereby excluding Vandy) – were rooted in an inherent corruption that grows from coaches and administrators’ willingness to look the other way while over-feted and unpaid student athletes generally run amuck in a culture that would best be described as toxic. Athletic directors and coaches are hired and paid exorbitant salaries to win games. Winning athletic programs make money for the schools they represent, through boosters and revenues from merchandising and ticket sales. This encourages administrators to look the other way all the way to the top. If a student athlete commits some small infraction here or there, what of it? If they can run, catch, throw, shoot, etc., then the consequences of their infringement on team rules, school code of conduct or Georgia Code would probably do more harm than good to the institution as a whole. Coach Curry seemed to be more of a fire-and-brimstone coach. Miss a tackle? Watch him eat a kitten. Personal foul? Two kittens. Excessive celebration? You have to cut open the mamma cat and feed him the barely squirming unborn kittens. Coach Curry’s going to eat a whole tassel of kittens over this Hill burglary. This is serious stuff, man. Last season, their presumed starting quarterback, a transfer from Alabama who apparently couldn’t cut it under Coach Curry’s leadership, was late for the team bus, and Curry benched him. God only knows what Little did to get benched from his starting quarterback role for four games, but I’m guessing he didn’t wipe down the bench in the weight room when he was through using it. So, even in the most rigid and strict of programs, we still find student athletes who are willing to take a chance in committing a crime. Why? Now, granted, we’re probably jumping to conclusions here. Hill has been arrested, but not convicted, and there’s a possibility that he was not as involved with this as we might initially believe. But, seeing how often it is that these privileged athletes get away with the most heinous of crimes, you’ll understand if I’m slow to give Hill the benefit of the doubt. Ultimately, these institutions – particularly the public ones – are here to educate us, not entertain us. I, too, loved being able to partake in the Saturday fun last fall, shuttling through channel listings to see if Georgia State’s game was going to be broadcast, following the Georgia State blog on ajc.com and generally being a fan. And I was at the school when the seeds that grew into this football program were sowed, with students themselves banding together to form an informal team, built on the support of their peers because we believed – myself included – that football belonged at Georgia State. But even if the program generates revenue, I am left to doubt that it’s worth the price. Whose fault was it? That is the question that I keep asking myself. 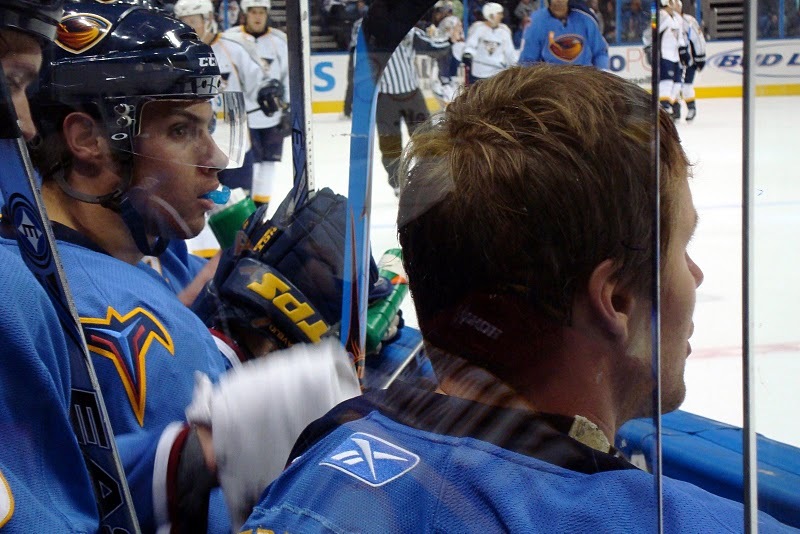 I was a fan of the Atlanta Thrashers. I went to over a game a year and felt horrible that I couldn’t afford more. When I didn’t go to the game, I saw most of their games on TV. I bought way too much gear for my beloved hockey team. I really want to know … whose fault was it? I have narrowed down the suspects list to three, and only three: Don Waddell, the fans, and the Atlanta Spirit, LLC. Suspect No. 1 Don Waddell: Waddell was an assistant manager for the Detriot Red Wings from 1997-98 when they won the Stanley Cup. To be the best you have to steal from the best so Ted Turner and his original ownership group handpicked Waddell to hold down the reins as General Manager of this new team. How good was Don Waddell? His first pick (Patrik Stefan) was named the worst No. 1 pick ever in the NHL Entry Draft by NHL.com. His second pick (Luke Sellers, 30th overall) played exactly 3:27 of hockey on the NHL level in 2002 and was never heard from again. So the first two selections for the Atlanta Thrashers were two of the biggest busts in NHL history. Waddell put a team together over 11 years that finished with 342 wins, 437 losses, 45 ties, and 78 overtime losses. That means in 11 seasons, Waddell’s hand-selected teams finished on the losing side 173 more times than they won. They finished fourth or fifth in their five-team division six out of 11. They reached the playoffs one time but failed to pick up a single victory even though they were the favorite. Suspect No.2 the fans: No matter how hard we try, we forget sometimes that sports are big businesses. If nobody is coming to games and spending money, then the business has to take drastic actions that could include leaving. Not including the first year of the franchise, the Thrashers never averaged greater than 16,240 fans per game and averaged fewer than 15,000 fans in attendance for five seasons including the final three seasons. During its entire tenure in Atlanta, the Thrashers averaged 14,914 fans per game. Those are not numbers that can keep a team viable. Suspect No. 3 Atlanta Spirit: Whenever I think of the Atlanta Spirit ownership group, I’m always reminded of the Simpsons episode “Three Men and a Comic Book.” Bart, Milhouse, and Martin combine their money to purchase a rare copy of a Radioactive Man comic. The three children fight over every trivial detail regarding the book and in the end the comic book is destroyed. But in real life, it is nine people – Steven Belkin, Michael Gearon Jr., Bruce Levenson, Ed Peskowitz, J. Rutherford Seydel, II, Todd Foreman, J. Michael Gearon Sr., Bud Seretean, and Beau Turner – divided over three cities – Atlanta, Boston, and Washington D.C. – that bought my beloved Thrashers on March 31, 2004 with a contract that was so thick and complex, it required six binders and 372 signatures. The honeymoon period lasted just over a year as in 2005, the Atlanta Hawks wanted to make a trade to obtain guard Joe Johnson. The majority of the Atlanta Spirit group wanted to make it but Belkin, who was named the Hawks Governor and therefore owned a controlling vote, rejected it. Lawyers were called in and it took five years before the group ousted Belkin with a buyout on Dec. 23, 2010. Five months later on May 31, the Atlanta Spirit sold the Thrashers to True North Sports and Entertainment and the rest was history. I’m acquitting Waddell of all charges levied against him. Despite being horrible at his job, he did the best he could and he should not be blamed for not firing himself. The fans did have a part in the death whether we are willing to admit it or not. When comparing performance ranking to attendance rankings, the fans were not showing up in equal proportions over the past three years. If more fans had come out (even as few as 400 per game) then the Thrashers would probably still be here. But with that said, they’re only an accomplice. They did not tally the fatal blow. The Atlanta Spirit group is the ultimate killer. The owners were never willing to put the money behind the Thrashers that was needed or to make the hard decisions that were required to own a franchise. The group were so incompetent they made Larry, Moe, and Curly look like doctors.